Το Fallout 76 είχε διάφορα τεχνικά προβλήματα απο την πρώτη μέρα κιόλας που κυκλοφόρησε και αυτό στεναχώρησε αρκετά την gaming κοινότητα πόσο μάλλον τους fans του παιχνιδιού που το περίμεναν πως και πως. Μετά απο όλα αυτά τα προβλήματα όμως η Bethesda έρχεται για να μας δώσει την λύση και να βελτιώσει το παιχνίδι μέσα στην εβδομάδα με το νέο patch που θα κυκλοφορήσει. Εκτός φυσικά απο το να διορθώσουν κάποια ορισμένα bugs θα γίνουν αλλαγές και μέσα στο παιχνίδι που κάποια είναι θετικά για εσάς και κάποια για τους εχθρούς όπως για παράδειγμα τα XP rewards και το Boss loot. •	Performance: PC framerates are once again uncapped. However, reaching very high framerates will no longer cause movement speed to increase. This was originally fixed in the November 19 patch. 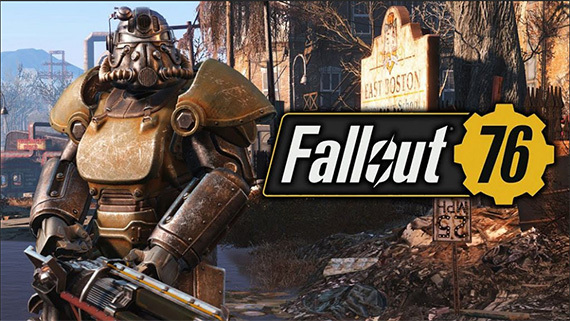 •	Stability: The Fallout 76 game client and servers have received additional stability improvements. •	Stash: Maximum stash storage has been increased by 50%, to 600 pounds. This is a conservative adjustment, and we plan to increase the storage cap further in the future once we’ve verified this change does not impact the stability of the game. •	Enemies: XP rewards for killing high-level creatures have been reduced. •	Bosses: Fixed an issue affecting instanced Boss loot. Players should now correctly receive 2-4 items per boss, depending on the creature’s difficulty and level. •	Weapons: Automatic weapon damage has been increased by approximately 20% across the board. •	Weapon Effects: Hitting another player with a Cryolator now applies a Chilled, Frosted, or Frozen status based on how many times they are hit. The duration of movement speed reductions applied by these effects have been significantly decreased. •	Console: Fixed an issue that could cause the player to encounter an infinite loading screen when signing out of their console account while playing Fallout 76. •	Xbox: Addressed a crash that could occur when sending multiple team invites immediately after exiting Vault 76 to a player who is not a friend. •	Power Armor: Fixed an issue affecting Power Armor frames that could prevent the player from exiting their Power Armor. •	Nuke Silos: Flipboards inside Nuke Silos no longer display portions of launch codes too soon after the codes were reset for the week. •	C.A.M.P. : Moving C.A.M.P. locations will now correctly move standalone items built by the player into the build menu’s Stored tab. •	Workshops: On PS4, wires will no longer appear to float in mid-air when attempting connect two or more objects. •	Turrets: Will no longer become invisible if the player is not present at their C.A.M.P. when their turrets are destroyed. •	Perk Cards: Ranking up a Perk Card will no longer cause a duplicate card to appear. •	Teams: Fixed an issue that could prevent a team from being correctly formed in a game world after creating the team on the Main Menu when both players are using new characters. •	Teams: Display durations for social notification have been reduced when many notifications are pending. This should help address an issue in which players did not see that they successfully joined a team. •	Mutations: The Electrically Charged and Unstable Isotope Mutations no longer provide the player with bonus Health. •	AFK: Players will now be disconnected from a game world after 10 minutes of inactivity and will be prompted with a timer 1 minute before being kicked. •	Atomic Shop: On PC, cursor position will no longer be disjointed from clicks in the Atomic Shop while using 16:10 resolutions. •	Enemies: Red crosshairs and enemy health bars will no longer persist on-screen when an enemy is no longer in view. •	Localization: Subtitles will now appear correctly, and English voiceover will play, for game clients in languages that do not have their own localized voiceover when listening to a Holotape or interacting with robots. •	Pip-Boy: Fixed an issue that could cause duplicate data to appear in the Pip-Boy’s Stat and Effects interfaces. •	Respawn: Dying while severely overencumbered will no longer remove all map markers when attempting to respawn. Instead, the player can now respawn at the nearest discovered Map Marker. •	Quest Tracker: Quest objective notifications will no longer appear for inactive Quests immediately upon connecting to a world.